How much is Lori Greiner Worth? 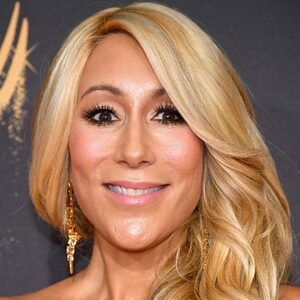 Lori Greiner net worth and salary: Lori Greiner is an American jewelry designer and reality television judge who has a net worth of $100 million dollars. Born in Chicago, Illinois, Lori Greiner began working for the Chicago Tribune while still in college, where she was earning a degree in Communications with a focus on Journalism, Television, and Film. After considering a career as a writer, she began working in the consumer products arena. She designed a plastic organizer to organize up to 100 pairs of earrings, while writing plays on the side, in the mid-90s. Her earring organizer went on to make over a $1 million dollars within the year, and sold out instantly on the Home Shopping Network. Since then, she has gone on to develop over 350 products for men and women, and holds more than 100 patents in the US and abroad for her kitchen, accessory, and organization products. She hosts a popular monthly show on QVC called "Clever and Unique Creations by Lori Greiner", and in 2011, she was the guest speaker at the first United States Patent and Trademark Office Women's Entrepreneurship Symposium. More recently Lori has become famous for being one of the judges on the popular reality television show "Shark Tank". She has also been featured in a number of magazines including Forbes and Oprah's "O" Magazine. Grenier is the president and founder of For Your Ease Only, Inc. She joined the cast of Shark Tank in 2012 and has invested in very successful companies and brands including Scrub Daddy, Squatty Potty, Drop Stop, and many more. In 2014 she authored the book Invent It, Sell It, Bank It! : Make Your Million-Dollar Idea Into a Reality which reached #3 on the Wall Street Journal's bestseller list. 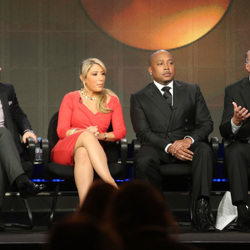 Shark Tank entered its ninth season in 2017 and has won Primetime Emmy Awards for Outstanding Structured Reality Program in 2014, 2015, 2016, and 2017.